On April 26 the AARP Caregiving Symposium at The Arvada Center will host a one day symposium entitled Navigating the Journey of Caregiving. One of the local presenters during this event will be the mother/daughter team, Libby and Patty Bortz. Click here to learn more about their presentation. If you haven’t heard of the Conversation Project, it’s time to learn about it. Its founder said that she talked with her mother about everything….except end-of-life decisions. So the organization has created free starter kits for families to use together to discuss personal values and end-of-life care as well as a starter kit for how to talk with your doctor. There are kits specific for families dealing with dementia and Alzheimer’s and a pediatric kit for those dealing with a seriously ill child. The organization provides guidance on how to choose a health care proxy and forms to ensure that it is a legal document in your geographic location. If you want a trained Conversation Project coach to help facilitate a family meeting, they are available to assist during this process. Check out the starter kit below. Don’t wait. Fill it out today. Diagnosed With Cancer? Order A Bag It! As of March 1, the Program of All-Inclusive Care for the Elderly (PACE) is now open for enrollment. The new TRU PACE adult day health center is located at 2593 Park Lane in Lafayette. For eligibility, you must be 55 or older, live in the zip code that they service, need a nursing home-level of care, and be able to live safely in the community with assistance from the PACE program. You can currently have Medicaid or Medicare to qualify. If you have Medicaid, you will not pay a monthly premium for long term care under PACE. If you don’t qualify for Medicaid and you have Medicare, you will be charged a monthly premium as well as a premium for Medicare Part D. You also have the option for private pay. The PACE program focuses on customized, coordinated care for each participant. The program has contracts with many local healthcare providers and long term care facilities. If you participate in the program you must utilize their providers, specialists and the PACE adult day health center. To determine if you are eligible, contact a PACE Enrollment Specialist at 303-665-0115. Is Your Skilled Nursing or Therapy Denied for Coverage? Effective February 16, 2017 the Centers for Medicare and Medicaid Services approved a Corrective Statement to the 2014 Jimmo Settlement Agreement. It reads as follows: The Centers for Medicare and Medicaid Services reminds the Medicare community of the Jimmo Settlement Agreement (January 2014), which clarified that the Medicare program covers skilled nursing care and skilled therapy services under Medicare’s skilled nursing facility, home health, and outpatient therapy benefits when a beneficiary needs skilled care in order to maintain function or to prevent or slow decline or deterioration (provided all other coverage criteria are met). Specifically, the Jimmo Settlement required manual revisions to restate a “maintenance coverage standard” for both skilled nursing and therapy services under these benefits. Many Medicare patients have been told that their skilled nursing and therapy services are based on an Improvement Coverage Standard when in fact that is no longer the case. They have been told that they plateaued in their improvement from the skilled services or didn’t improve fast enough so further coverage is denied. Maintenance Coverage Standard has replaced Improvement Coverage Standard which means Medicare will cover services that are necessary to maintain a patient’s current condition or prevent or slow further deterioration. Remember to always question a denial for coverage. There may be new regulation or past regulation that has not been communicated or effectively enforced that will be applicable to your specific situation. 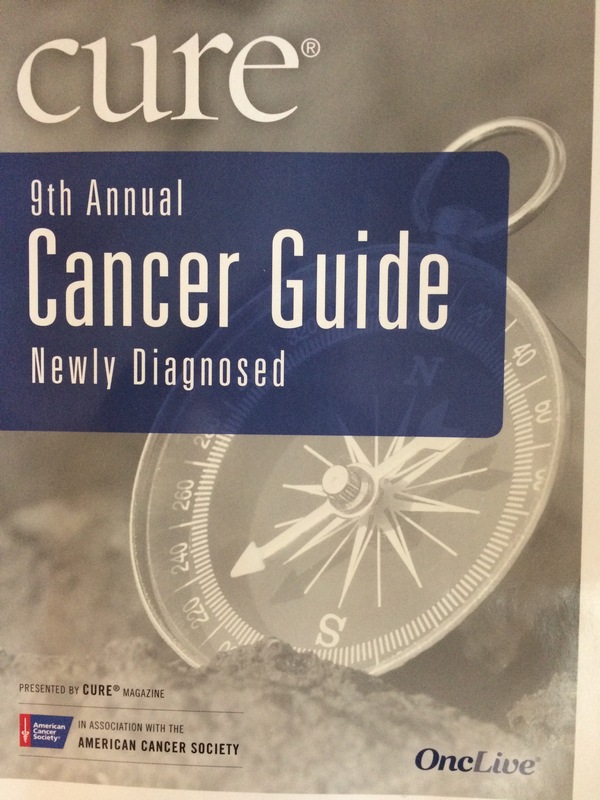 CURE Magazine is a quarterly magazine available online and printed format for cancer patients, survivors and caregivers. It provides up-to-date information on cancer research, education, treatments, and inspirational stories of hope. 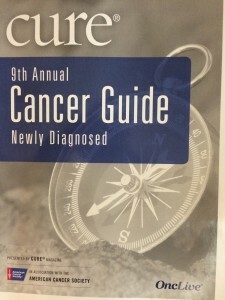 Their annual Cancer Guide magazine is included with their subscription. A free subscription is available at http://www.curetoday.com/subscription. This issue focuses on Newly Diagnosed. It will provide information for you 1) once a diagnosis has been given, 2) prior to your treatment, 3) during treatment, 4) after treatment, 5) caregiving. An additional special issue magazine is also included that covers organizations that provide financial support specifically for cancer patients. To get started, you can call the Cancer Support Community for a free session either over the phone or in person to discuss all of the available financial resources specific to your needs. 1-888-793-9355.